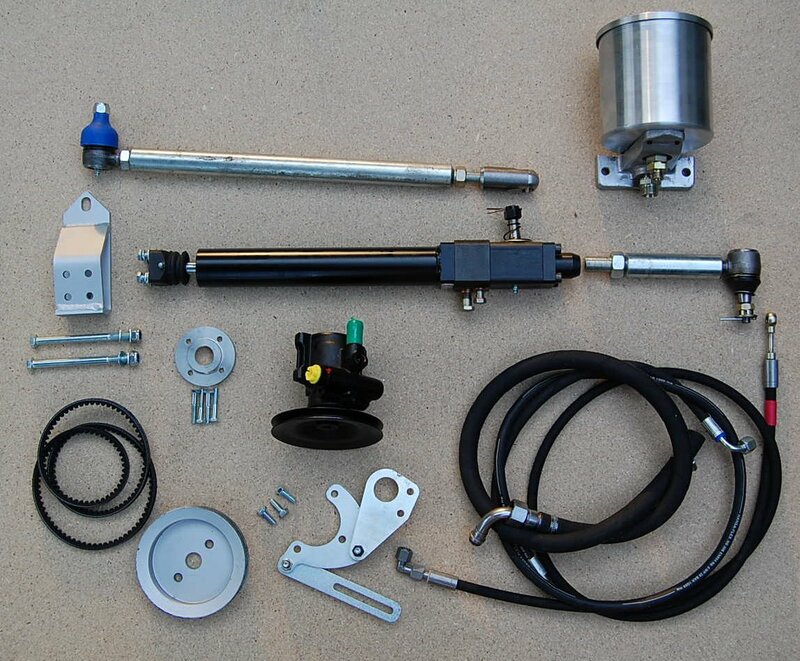 The HST/TDZ power steering system can be fitted to any LHD or RHD Series Land Rover. This bolt-on system will assists you when you need it most: parking and low speed maneuvering. It will not alter the steering geometry, behavior at speed nor the turning circle. Easy to fit. No cutting, drilling or welding to the chassis. The system can be fitted in a couple of hours. 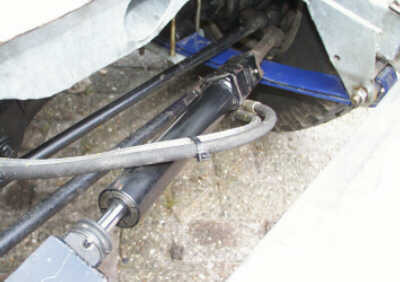 Also, if required, it can be return back to the original steering system very quickly. 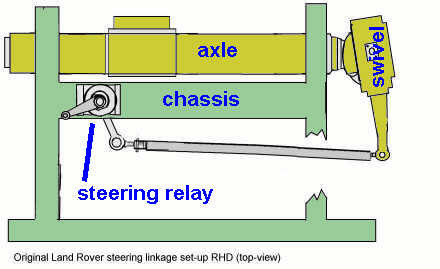 In case of hose breakage or engine stop / drop of the hydraulic pressure, the vehicle is NOT left without steering, instead it will continue to act as normal manual steering since the valves and cylinder will circulate the hydraulic oil without resistance through the system allowing the necessary steering movement. You can see it as a system that belongs to the driver rather then to the vehicle, this means you can simply take it off and refit it when you change Land Rovers. 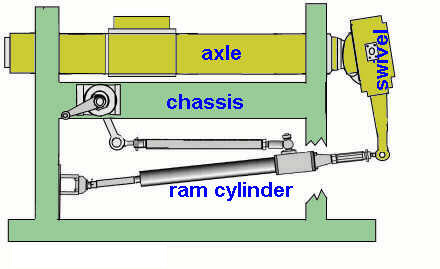 The ram is located at the end of the steering link and applies the force directly onto the road wheels. This means that the links between the steering wheel and ram cylinder, like steering box and steering relay + connected ball joints, are not subject to excessive wear or high forces and are therefore protected against premature wear. The ram system will also act as a hydraulic stabilizer, absorbing the vibrations that get back from the road wheels to the steering wheel giving better control over the steering. The normal self centering, while driving out of corners or bends, is not affected. This will maintain the tendency to recuperate to the original position. In case of tire burst the system will instantaneously correct as it acts in the opposite direction of the turning tendency of the burst tire to the steering system. No drastic changes are needed to fit the kit and if required a full reconstruction of the original steering system is possible within a matter of hours. Simple bolt-on conversion, all parts are supplied. - In case of breakdown of the hydraulic system the vehicle is NOT left without steering, instead it will continue to act as normal manual steering since the valves and cylinder will circulate the hydraulic oil without resistance through the system allowing the necessary steering movement. - For correct and safe operation of this power steering system the complete steering set-up; steering box, steering relay and all ball-joints, must be in "as new" condition.